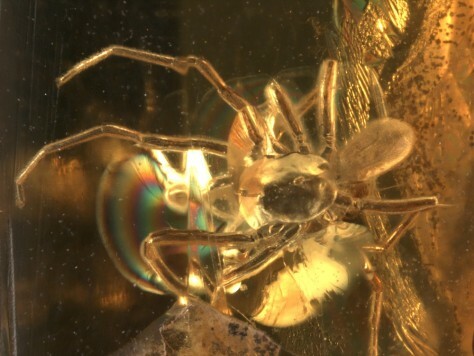 A teeny tiny ancient mite has been attached to the head of a spider for 49 million years in a Baltic amber tomb. At less than 0.2 mm long, this tiny mite is the smallest fossil to be studied using X-ray techniques that give researchers a three-dimensional view of the parasite. The mite looks like a bubble in the middle of the spider's torso (the body section in the middle of all those legs).